The Bio-Ray Extra Strength Knee Guard is specially designed with tourmaline gemstones coated on the inside to direct man-made far-infrared energy deep into the flesh and bone of the knee joint, for a superior heat therapy treatment. 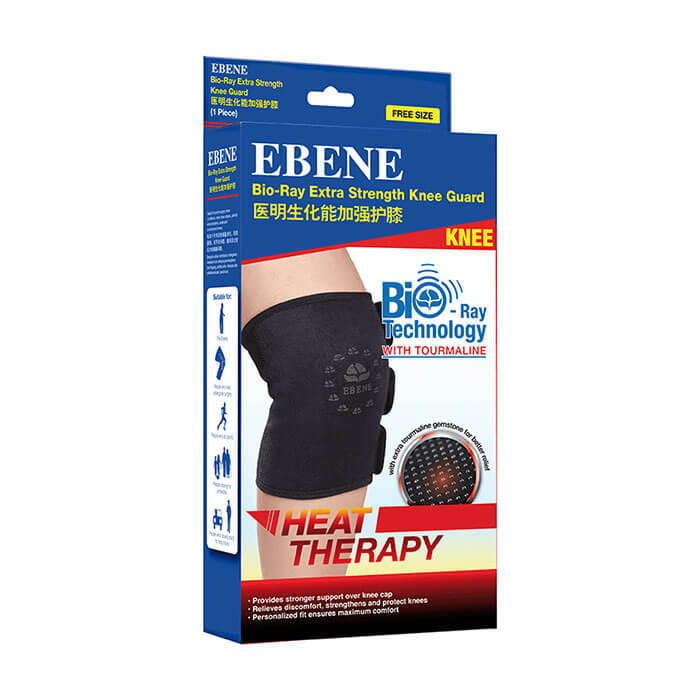 This effective knee brace is designed to stimulate blood circulation for the encouragement of healing and relaxation to provide an anti-inflammatory effect for a better range of motion in the injured knee and mitigation of muscle spasms. Adjustable straps to fit most individuals for maximum comfort. Soft and flexible material with strong support over knee cap. 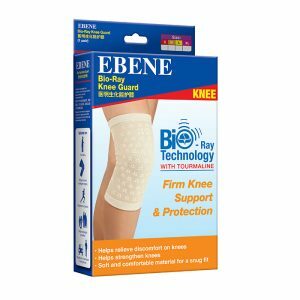 Relieves discomfort in the knee and provides extra knee support. Helps to maintain and improve the soft tissues around the knee for preventing the onset of osteoporosis and arthritis that comes with old age. Suitable for post-surgery knee recovery, minor knee strains, and arthritic knee pain. 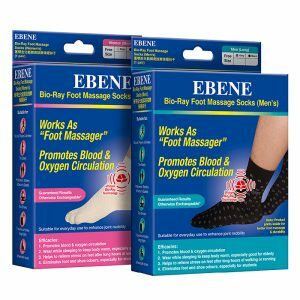 Ideal for post-exercise recovery to relax the muscles around the knee. Close fasteners prior to washing. For 1st time users: Wear during day time for a short period (30min – 1hour). Gradually extend to night use once body is accustomed to product. Place support over knee with the longest strap at the top. Wrap the middle strap around the knee and attach Velcro fastener to hold support in place. Wrap the remaining two straps and attach to the support. Adjust until fit is firm and comfortable. 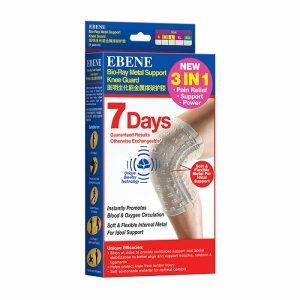 3-in-1 solution, addressing pain relief, knee support and power.